Almost a full year after my last update about the signing director John Crowley, we have an actor to play Theo in The Goldfinch! Ansel Elgort who you remember from both The Fault in Our Stars and, if you're lucky from Baby Driver where he was out of this world extraordinary! If you watched the Emmy's last night, you heard the names Nina Jacobson and Brad Jacobson quite a bit. They're the producers behind HBO's The People VS OJ Simpson. They're also the producers bringing The Goldfinch to the screen. A huge move forward has occurred since I first wrote this post in March of 2014: John Crowley, the director of Brooklyn starring Saoirse Ronan has been hired to direct. The script—how do you write a script for a novel so very long?—was written by Peter Straughan. What's not entirely clear to me is whether the decision has been made to go the movie or TV route. John Crowley is directing Cate Blanchett in her Broadway debut early next year—a reimagining of Chekhov's play The Present, adapted by her husband John Upton—so The Goldfinch will have to square with that schedule. 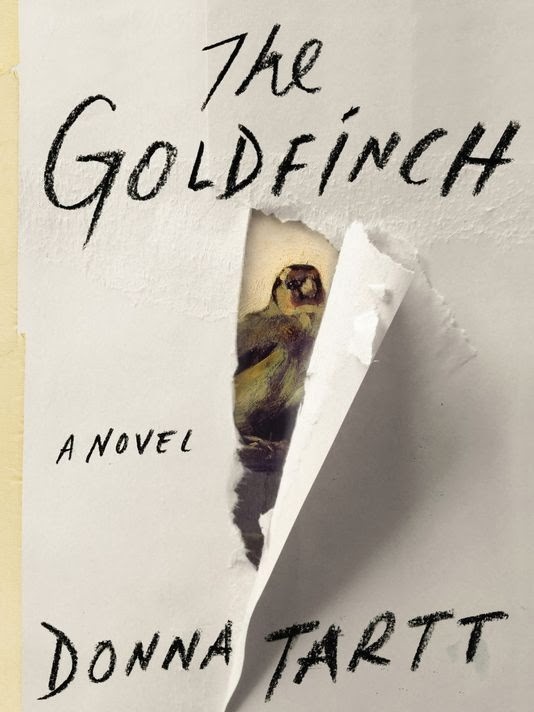 The New York Times called it one of the best books of 2013 so it's hardly surprising that Donna Tartt's The Goldfinch has been optioned for an adaptation. What's interesting is that Nina Jacobson, the producer of The Hunger Games and Diary of a Wimpy Kid films, is planning on making the novel into a 'limited series', rather than a film. God forbid anyone use the dated terminology "mini-series" but that's what a limited series is, right? "We are looking for the right filmmaker, and then we'll choose the right home based on that filmmaker.... We've been thinking we are more likely to make a limited series for TV. There's so much scope to the book. At the same time, a filmmaker could come in with a perspective that changes our mind." That approach makes my heart sing like a bird; a two hour movie - even a three hour movie - rarely does justice to the source material, especially when the the book is over 600 pages, and Tartt's tale weighs in at 784! We saw that failure recently in the sadly lacking Winter's Tale adaptation of Mark Helprin's incredibly rich and chunky novel, albeit there were other problems. It does feel like the success of series such as Netflix' House of Cards and HBO's True Detective are encouraging the film community to take serious looks at the expansiveness and dramatic possibilities that television offers viewers these days. Now come the casting questions. I see all kinds of names on the internet—Daniel Radcliffe for Theo, Adam Driver for Boris, Saoirse Ronan for Pippa, Jim Broadbent for Hobie—but shame on me, I still haven't read the book. I'll have to squeeze that in as soon as I finish Deliah Ephron's Siracusa. In the meantime, who do you see in the key parts?